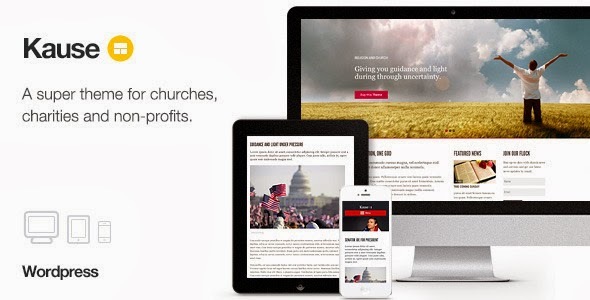 Kause is a super flexible theme designed for churches, charities and non-profit websites. A beautifully designed multipurpose WordPress theme, perfect for charities, churches and non-profit websites in including political campaigns. Kause is clean and minimal and puts direct focus on your message. Fully Tested in Wordpress 3.8. Item Reviewed: Best Theme for churches, charities and non-profit websites 9 out of 10 based on 10 ratings. 9 user reviews.